YouTube's Chief Business Officer has weighed in on the EU's proposed Article 13 legislation, which critics say could force platforms like YouTube to implement filtering regimes in the face of increased liability for infringing content. Robert Kyncl says the proposal potentially undermines the creative economy by discouraging or even preventing platforms from hosting user-generated content. Critics say the proposed legislation would see platforms such as YouTube compelled to introduce strict upload filters, to prevent unlicensed content being offered to the public. These systems, they say, would stifle creativity and lack the ability to differentiate in situations of fair use. Those in favor say that YouTube has enjoyed the free ride long enough and must now play fair with other people’s content. The theory in the music industry is that the enhanced liability regime of Article 13 will force YouTube, their main target, to properly license the music it hosts, at rates more in line with those being charged elsewhere in the industry. 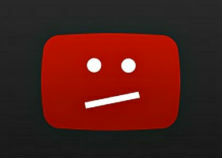 Removing safe harbors, insiders say, is the only way YouTube can be forced to compensate artists fairly. The debate has raged for months – years even – with the music industry on one side and tech companies and proponents of Internet freedom on the other. However, YouTube and owners Google have remained relatively quiet, a little unusual given that they’re the prime targets of the legislation. Now, however, YouTube Chief Business Officer Robert Kyncl has weighed in on the proposals, warning of a new, more restrictive creative environment should Article 13 pass into law. “The open internet eliminated the barriers of traditional media gatekeepers and ignited a new global creative economy for creators and artists. It has given anyone with an idea the ability to share their passion, find fans all over the world and build a business,” Kyncl writes on the YouTube Creator Blog. Kyncl warns that passing the controversial proposal would lead to a stifling of creativity and a negative effect on YouTube users of all kinds. YouTube creators, in particular, could find their revenues at risk, if the platform is held to higher standards of liability. Critics have long warned that erring on the side of caution would become the standard for sites like YouTube, potentially leading to censorship (filtering) of difficult or questionable content. YouTube’s Chief Business Officer reiterates once again that his platform has invested in several technologies designed to assist copyright owners. Its Content ID and more recent Content Match systems can identify content for monetization purposes or remove it, at copyright holders’ request. “Copyright holders have control over their content: they can use our tools to block or remove their works, or they can keep them on YouTube and earn advertising revenue. In over 90% of cases, they choose to leave the content up,” he writes. In informal discussions with music industry insiders this week, TF also questioned why tools like Content ID and Content Match aren’t able to solve the problem of infringing music content being made available on YouTube. We were told that while these systems have their uses, only the enhanced liabilities offered by Article 13 can address the undervaluation of content and ensure that YouTube pays a fair licensing rate for the content it offers. But while the music industry seeks to render YouTube ineligible for safe harbor protections under the e-Commerce Directive, YouTube is warning that the effects of Article 13 will be felt far beyond the Internet’s most popular video site. “The Copyright Directive won’t just affect creators and artists on YouTube. It will also apply to many forms of user generated content across the Internet. And that’s why so many other people are raising concerns too,” Kyncl writes. With that, Kyncl signs off by urging opponents of Article 13 to air their opinions on social media (#SaveYourInternet) and with policymakers via ChangeCopyright.org. The all-important EU vote is set to take place September 12, so expect a crescendo of often acidic debate over the next few days.